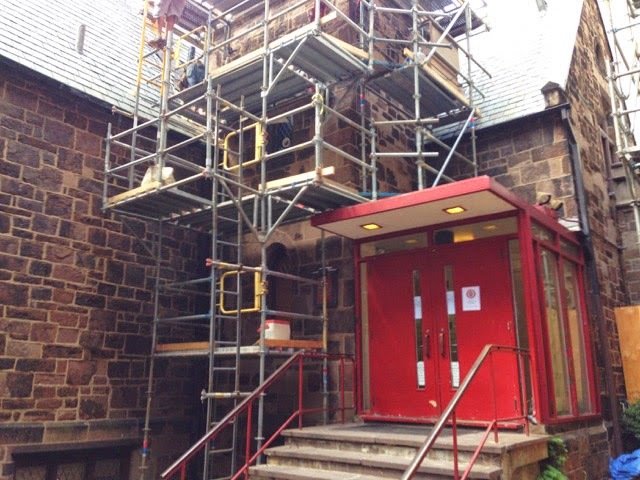 Saint Mark’s Church, at 1625 Locust St., is undergoing some renovations and called Superior for the scaffold support and access it needed. 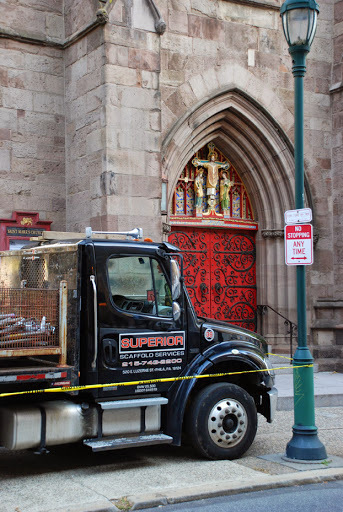 The church was founded in 1847 and actually built between 1848 and 1849 and as an historic building needed the utmost care when completing said renovations. 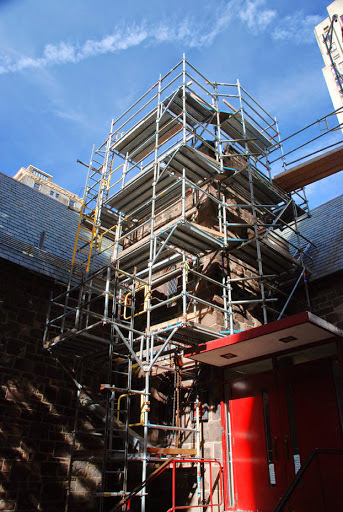 Superior Scaffold has a long history of exemplary work on historic buildings and structures in the tri-state area so they were the logical choice. 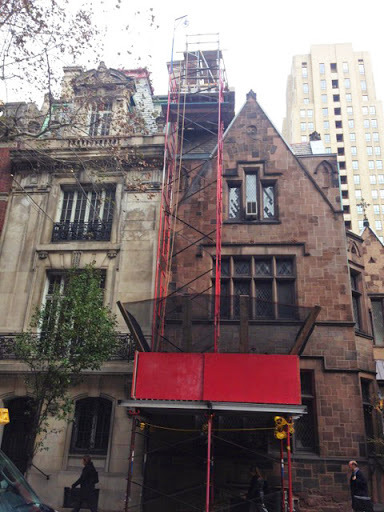 These upgrades were being done in phases and Superior needed a way to get the many disciplines (roofers, masonry crews, windows, painters, and the like) to their destinations. An elaborate combination of system scaffold & frame scaffold was used in this design. I also wanted to show you a few pictures of our crew and truck(s) outside so you can get an idea of what to expect when they roll up to your location. The truck(s) will pull up front and block off any unwanted access so that crews can take inventory and unload for the job. Here you see the guys getting the materials off the truck and up to their designated location. The steep roofs and many angles of the church made it a challenge to scaffold. Extra care was taken all around the job because of the delicate nature of the structure itself. 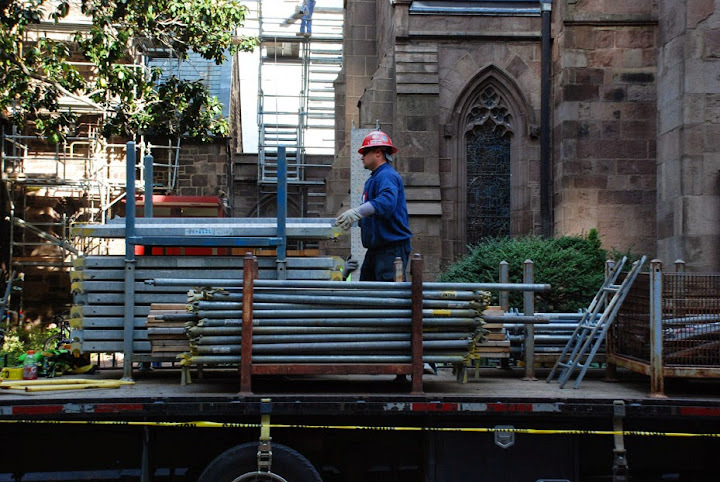 Superior’s crews are very cognoscente of their surroundings and are skilled at keeping even the smallest items intact while erecting scaffolding. Another challenging access point was the chimney. It sat very close to the sidewalk so Superior had to devise a way to get crews up while protecting the traffic down below. 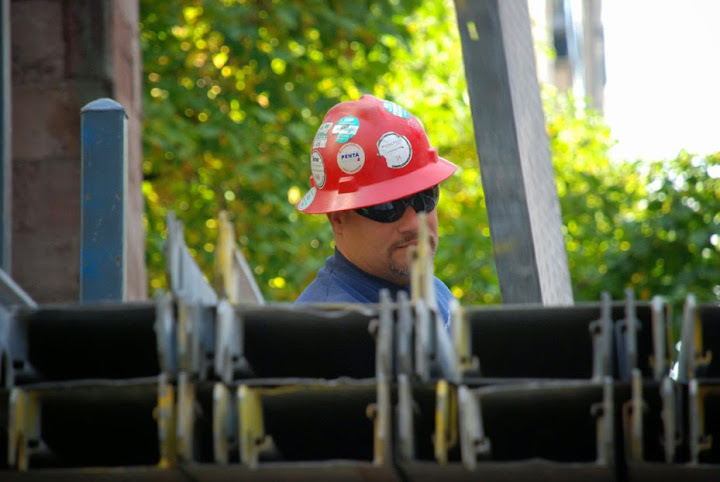 Engineer, Mike Leone, created a scaffold frame system that sat on top of the canopy. The canopy frames would provide the support for the 40’ tall scaffold system while also providing the walkway for pedestrians. 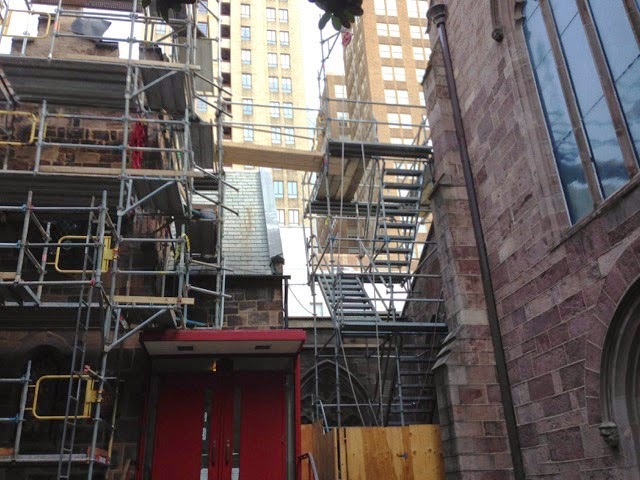 Two stair towers were also erected around the church to give crews access to different areas. 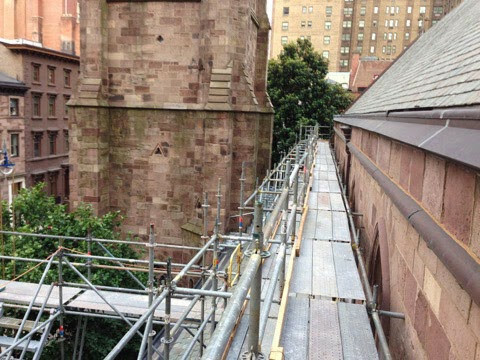 There was even a 70’ run of system scaffold down the South (Locust) side giving masonry and painting crews access. 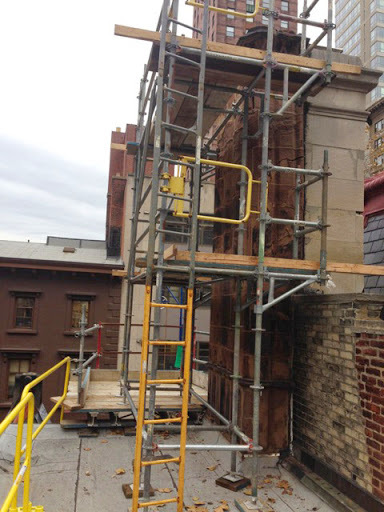 It was another successful job by Superior Scaffold at an historic building. 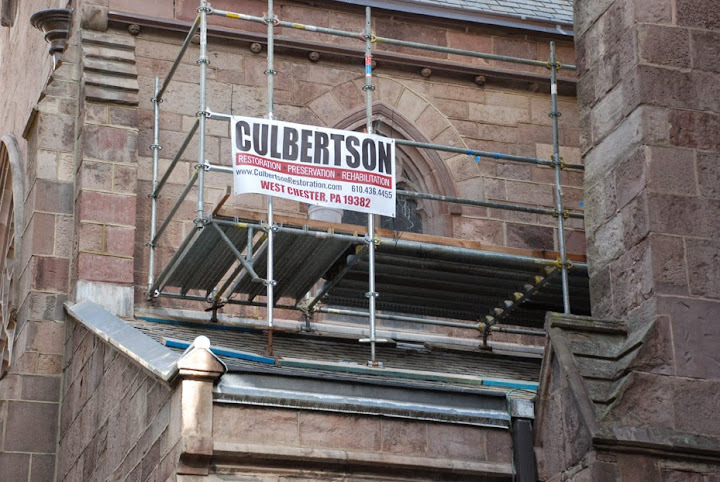 Call Mike, at (215) 743-2200 if you have work on an old or historic building that needs scaffold, scaffolding, he will take care of you. 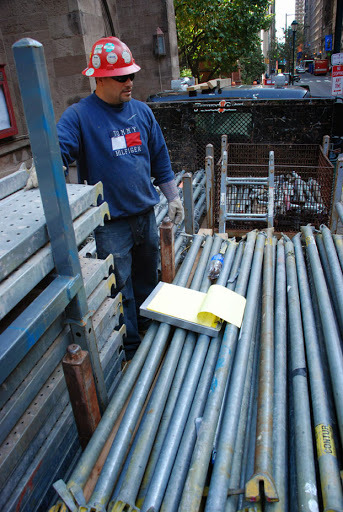 Visit www.superiorscaffold.com for more samples or information. 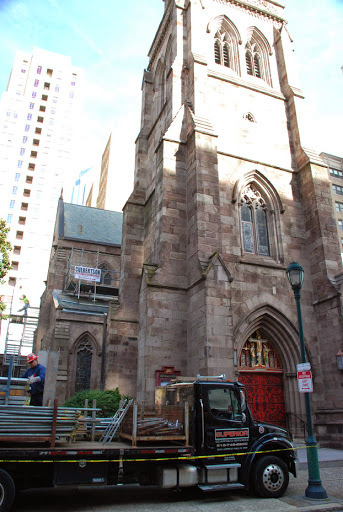 Saint Mark’s Episcopal Church, Philadelphia, at 1625 Locust St, Center City, Philadelphia, Pennsylvania, is an Episcopal church in the Anglo-Catholic tradition. It is part of the Diocese of Pennsylvania. This entry was posted on Tuesday, April 21st, 2015 at 12:24 pm	and is filed under Frame, News & Updates, System. You can follow any responses to this entry through the RSS 2.0 feed. Both comments and pings are currently closed.